Tiara gilded with fine gold, decorated with silk flowers and knots. 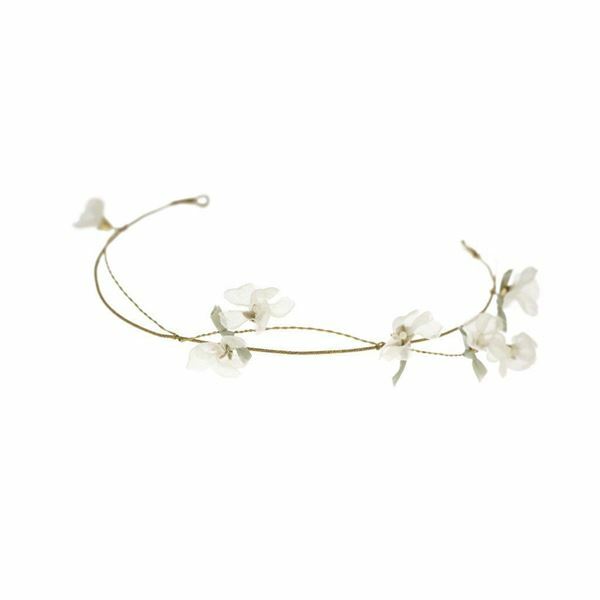 Can be worn as a choker. Made in Paris.